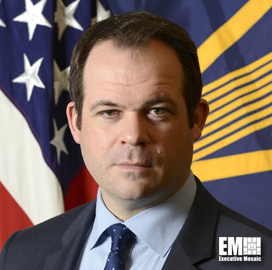 Eric Chewning, deputy assistant secretary for industrial policy at the Department of Defense, has been named chief of staff to the DoD secretary. Charles Summers, acting chief spokesperson at the Pentagon, announced Chewning’s appointment in a news release published Tuesday. Chewning previously worked as a partner at consulting firm McKinsey & Co. before he joined the office of the defense secretary. He served in the U.S. Army as a tactical intelligence officer and worked as an investment banker at Morgan Stanley & Co. He is a recipient of numerous military awards such as the Humanitarian Service Medal, Army Combat Action Badge and Bronze Star Medal.